Caroline Robert, MD, PhD, has solidly established the role of immune therapies in advanced melanoma thanks to her groundbreaking work on the clinical trials evaluating anti–CTLA-4 as well as anti-PD1 antibodies. Dr Robert’s seminal research has demonstrated long-term overall survival benefit in advanced melanoma. Through her collaborative research, the role of immune therapies in metastatic melanoma has been firmly established, and patient survival now extends significantly beyond the prior survival rates of less than 1 year. 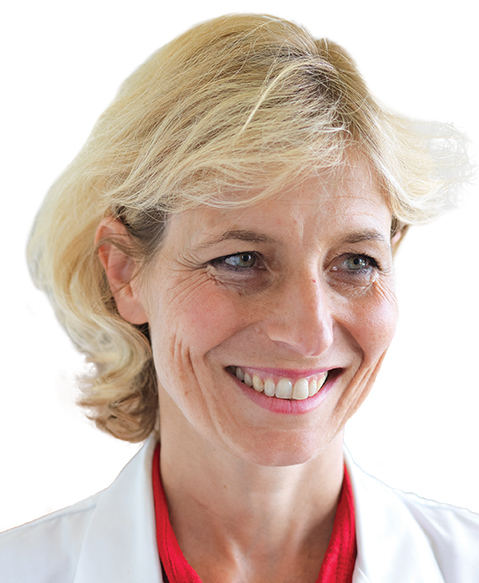 Her main interests are in the clinical and translational research of melanoma with regards to immunotherapy as well as new targeted therapies. More specifically, she has focused her research topic on the involvement of the control of protein translation in resistance to cancer treatment. She has authored over 250 articles in peer-reviewed scientific journals, including publications on new treatments for metastatic melanoma, and has been at the forefront in numerous international clinical trials. Dr Robert is head of the Dermatology Unit at Gustave Roussy in Paris, France, professor of dermatology at Paris-Sud University, and codirector with Stephan Vagner of the Melanoma team at INSERM (Gustave Roussy, France).